The Qwillery interviews Stina Leicht (Plus Giveaway!). Speculate (Gregory A. Wilson and Bradley P. Beaulieu) interviews Brandon Sanderson (podcast). Notes from Coode Street features Jonathan Strahan, Gary K. Wolfe and Peter Straub (podcast). Haffner Press announces The Collected Fredric Brown, Volume 1 and Volume 2. Fans Campaigning To Get John Carter A Sequel. John Carter Likely to be the Biggest Flop of All-Time. New Stephen King Anthology Film Confirmed. Hobbit pub row: Hollywood producer makes offer. Russia Targets Manned Moon Landing by 2030. March 17th: An Evening to Honor Gene Wolfe | Hosted by the Chicago Literary Hall of Fame. March 29 – 31: Jack Williamson Lectureship. Nancy Kress on New Words. Sci-Fi Fan Letter’s Dystopian Reading List. January Magazine on Forget Vampires: Dystopia is the New Black for Teens. Tor.com (Emily Asher-perrin) on Lucas Shot First: The Surprisingly Powerful Sense of Betrayal George Lucas Creates. Michael Swanwick on Honoring Gene Wolfe. The Night Bazaar (Nathan Long) on The Brigadoon Bar. Scott Edelman on on Kurt Vonnegut didn’t think much of science fiction. 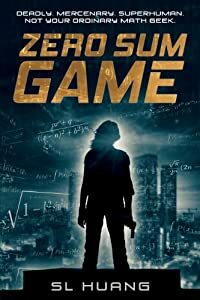 SF Novelists (S.C. Butler) asks Are RPGS Bad or Good For Writing? SF Novelists (Marie Brennan) asks Would you rather be wrong or right? Bryan Thomas Schmidt on 5 Tricks To Adapting A Well Known Story For Fiction. 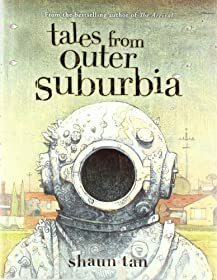 SF Site (Rick Klaw) on Forever Mœbius. on The Real Meaning of Khan’s Wrath in Star Trek. Locus Online (Paul Di Filippo) reviews Dream Castles: The Early Jack Vance, Volume Two. Peter Damien on Alan Moore, online. The Geek Files on John Cusack on his journey into the abyss to play Edgar Allan Poe in The Raven. The Geekiest (Kevin Maher) lists Pop Culture Experts In Pop Culture. concept ships: Maglev F1 Racer concept by Thomas Morgan. Frank Frazetta’s preliminary artwork for Beasts of Tarzan. Photos – Comic Book Men Artwork. @Minimal Movie Posters: “Universal science of deduction (Doctor Who & Sherlock)” by Sof Andrade. @Minimal Movie Posters: “Pan’s Labyrinth” by foursquare. @ItsArtMag: “Le Moebius” by scala. @CoolVibe: “Once in the woods” by Andrei Pervukhin. @CoolVibe: “Nio Guardian” by Kentaro Kanamoto. Read an excerpt of The Straits of Galahesh by Bradley P. Beaulieu. INFOGRAPHIC : The Neurology Of Gaming. China Miévill’s sneak peek of DC Comics’ weirdest new superhero series. Doogie Horner's flowchart: Work Habits of the Moon and Sun.